Combats diabetes: The natural ingredients in Diabecon increase insulin secretion in the body. By reducing the glycated hemoglobin level (form of hemoglobin used to measure glucose content in the blood) level, normalizing microalbuminuria (a condition which is an important prognostic marker for kidney disease in diabetes mellitus) and modulating the lipid profile, Diabecon minimizes long-term diabetic complications. The drug also increases hepatic and muscle glycogen content, which enhances the peripheral utilization of glucose. 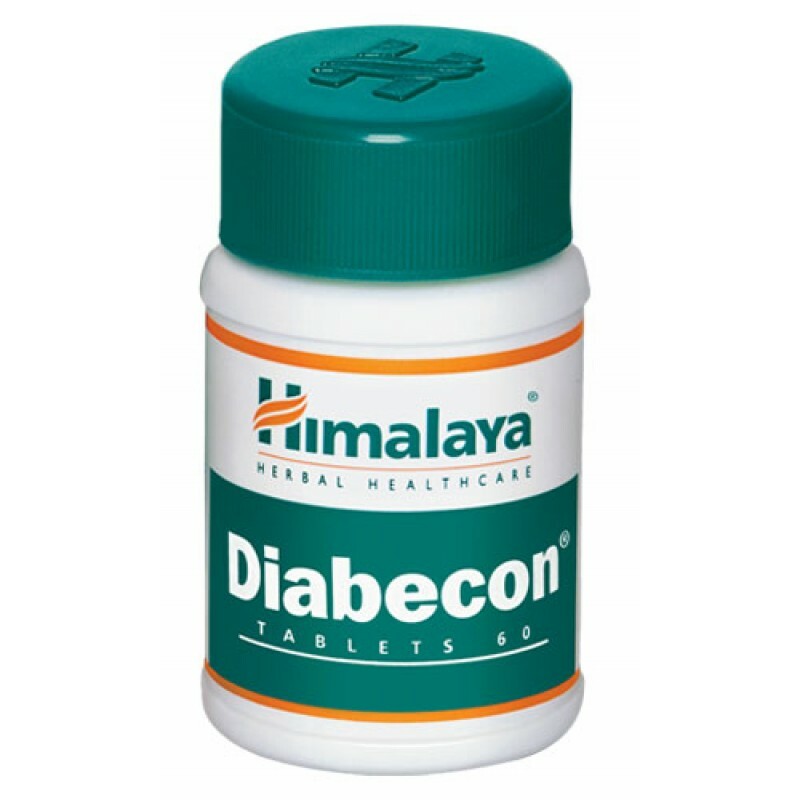 Anti-hyperglycemic: Diabecon reduces high glucose content in the blood. Effective hyperglycemic control is important in preventing micro- and macrovascular complications (large and small blood vessels) arising from diabetes. Gymnema’s (Meshashringi) principal constituent is gymnemic acid, which has antidiabetic properties. It reduces excessive blood sugar. It also has a regenerative effect on pancreatic beta cells and is insulinotropic, which means that it stimulates the production and activity of insulin. Gymnema temporarily abolishes the taste for sugar and helps decrease sugar cravings. It increases the activity of enzymes responsible for glucose absorption and utilization. Indian Kino Tree’s (Pitasara) principal constituent, epicatechin, has alpha-glucosidase inhibitory properties and regularizes key metabolic enzymes involved in carbohydrate metabolism.